To keep your Aston Martin looking fresh and running like new, it’s essential to bring it into your local auto body shop near Austin, TX. When you take your vehicle to your service shop, new or used, our certified technicians have the knowledge and experience to efficiently inspect your car, and will address any damages, dents, and other issues immediately, so your Aston Martin looks its very best. Whether you have just purchased a new Aston Martin or have been driving your car for years, it’s recommended that you take in your vehicle for a proper look over, so you keep driving in style! At Aston Martin Austin, we make sure your vehicle looks great, and is updated with all using all the latest equipment available. And our service team is here to ensure that your car or truck is looking polished and fresh, so you make a long-lasting impression wherever you go! Aston Martin Austin auto body shop near Austin, TX will order the proper parts you need to make your vehicle look shiny, sleek, and like-new. Providing you with all different services like glass repair and replacement, car detailing and paint touching, and dent removal, you get just what you’re looking for when you use Aston Martin Austin’s auto body shop. We have a reputation in the area of only providing our customers with quality service, and our sales and service teams take the time to get to know you on a personal level, and will answer any questions you have regarding our inventory and services. With our auto body shop technicians’ experience, you can rest assured knowing that your Aston Martin will be attended to with the utmost care, no matter what you need. We know you have lots of choices to consider, but you can trust us here at Aston Martin Austin to get the job done right the first time. Our skilled staff at our auto body service shop gives you one of the best deals for a quality job in the area, and we can promise you that once you leave our garage, you’ll feel valued as a customer. 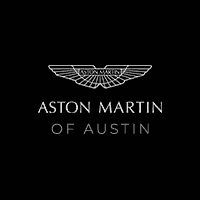 Here at Aston Martin Austin, we take pride in our excellent staff members, easy-to-use online tools, and our dedication to you as a customer, so you know you are getting exactly what you need when you come in for service at our auto body shop near Austin, TX. Schedule an appointment today right on our website, or by stopping into our service department at Aston Martin of Austnear Austin, TX.